The current archives now consist of over 400 metal and cardboard boxes from various sources containing historic documents, printing materials and photographic negatives. Many boxes remain unopened with their contents still to be inspected. To date we have examined around a third of the boxes which has resulted in the discovery of many photographic images in various formats including lantern slides, glass plates of various sizes, negatives and photographic prints. The historical images provide many interesting facts about the region and various companies and organisations in the North of England. Robert Elliott Bewick (1788 -1849) only son of Thomas Bewick (1753 – 1828), succeeded his father in their engraving workshop, based in Amen Corner, St Nicholas Churchyard, Newcastle upon Tyne. Robert Ward established his print business also in St Nicholas Churchyard, next door to Bewick’s workshop. Ward’s produced the first directory of Newcastle upon Tyne followed by directories of other areas in the North of England. Ward’s published the first half-penny newspaper in the U.K. – ‘North of England Advertiser’ 19th October 1853. Robert Ward moved his print business to Dean Street, Newcastle upon Tyne. under the Railway Bridge. Robert Ward succeeded to Bewick’s engraving business on 14th April 1862 when it was relinquished by Robert Elliott Bewick. Thomas Bewick’s memoirs were edited and printed by Bewick’s Great Nephew -Robert Ward –with Bewick’s daughter Jane Bewick (1787 -1881). Jane Bewick (Thomas’ eldest daughter), editor of Bewick's Memoirs’ died. Robert Ward died 2nd Jan 1883. Isabella Bewick(1790-1883) -Thomas Bewick’s only surviving daughter, died in June the same year. 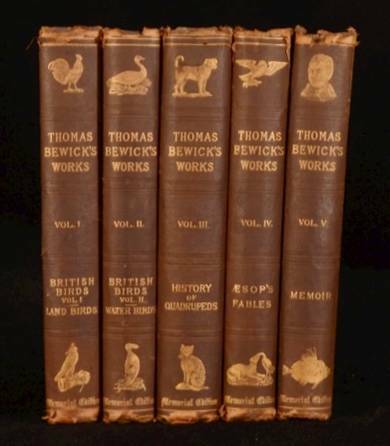 Thomas Bewick’s five volume Memorial Edition of his life and works, was produced by Robert Ward & Sons, Printers, Dean Street, Newcastle upon Tyne. Ward’s moved to High Bridge, Newcastle upon Tyne. John Philipson (1849-1923) lived at Beeston Place, Prudhoe travelling regularly between Prudhoe & Newcastle on Rechabite business. James Metcalfe Philipson (1880-1954), John’s son and a keen photographer, became apprentice in ’photo-process engraving’ with Messrs’ Howarth Bros & Co. Union Assurance Buildings, 40, Westgate Road, Newcastle upon Tyne. James Metcalfe Philipson completed his apprenticeship. John Philipson bought a house at 40, Goldspink Lane, and moved his family to Newcastle upon Tyne. 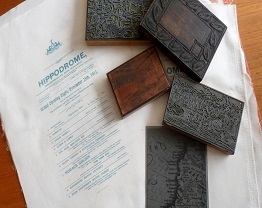 John Philipson and Frederick Walter Skilleter bought ‘the business of Half-Tone and Line Blocks on Zinc and Copper and Photo Process Engravers’ from Howarth’s on 1st March 1900. John Philipson, being very actively engaged in the Rechabite Office at the Temperance Institute moved the new Philipson Business into their attic quarters at the Temperance Institute, 148 – 150, Westgate Road, Newcastle upon Tyne. On attaining the age of 21, James Metcalfe Philipson joined the business partnership on 27th April 1901. R. Ward and Sons constructed Ward's buildings in High Bridge, Newcastle upon Tyne. A.L.Hitchin engaged as primary photographer for Philipson’s. Philipson business moved to larger premises in Lisle Street, Newcastle upon Tyne. W.S.Skilliter withdrew from the business partnership, and the company renamed Philipson & Son. A.L.Hitchin became a Fellow of the Royal Photographic Society. 'North East Coast Exhibition'. Philipson & Son the Official Photographers. John Philipson, the founder's grandson, became the new generation to serve Philipson & Son. R. Ward and Sons Limited incorporated 23rd April 1931. James Philipson elected President of the Federation of Master Process Engravers. Since the second world war, both family businesses continued in the North East with Philipson's occupying premises in Oxford Street and Blandford Square, Newcastle upon Tyne and eventually both businesses amalgamating in 1996 and moving to Dunston Industrial Estate, Gateshead in 1971 and 2003. This unique collection of photographs, engravings and printed material being the historical reward of this amalgamation. History of Ward's. - The First 70 years! Souvenir and Program in connection with the celebration of the Diamond Jubilee of Messrs. R. Ward & Sons, Printers, Newcastle on Tyne - 7th August, 1905, Souvenir and Programme recording the firms visit to Bellingham - Saturday 11th July, 1914. 'Tis sixty years since' the founder of the firm, the late Mr. Robert Ward, laid the foundation on which the present business has been reared. Since the humble start in St. Nicholas Churchyard, adjoining the historic workshop of Thomas Bewick, the father of wood engraving, many changes have taken place. The hand press was superseded by modern machinery of many makes. With the abolition of stamp and paper duty cheap literature became possible, and the aspirations of the pioneers of a popular press have become our heritage. 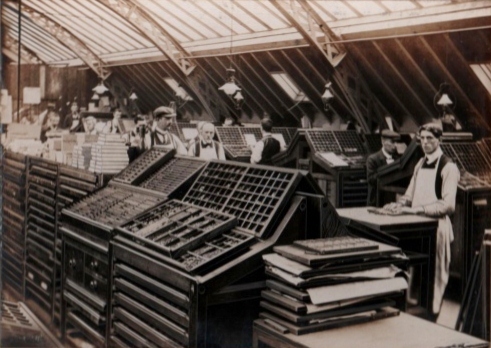 The demands of the daily press paved the way for printing from the web of paper, with combined folding and counting arrangements. Mechanical composition became an accomplished fact. Hard packing prevailed in the machine room, and the jobbing comp. has to abandon antiquated traditions of display. Six decades have brought us to our Diamond Jubilee. We rejoice in the measure of success which has crowned the efforts of the past. To the future we look forward with hope. The commercial department has entered upon extended and more convieient premises. Satisfactory progress is being made with the erection of the new works. The present congested state of affairs will, in the near future, give place to more convieient facilities and comfort for the employees. The late Robert Ward in 1845 founded the business in St. Nicholas Churchyard in the premises previously occupied by Messrs. Mitchell, publishers of the 'Tyne Mercury'. In 1847, he produced the 'North of England Pocket Book'. and two years later (1849), he commenced the now popular 'Ward's Directory', issued in1850, and which has been published regularly ever since. Robert Ward succeeded to the engraving business of the renowned Thomas Bewick on April 14th, 1862, when it was relinquished by Robert Elliott Bewick, the only son of the famous 'Father of wood engraving'. Under Mr. Ward's proprietorship and editorship, the first half-penny newspaper in the United Kingdom made its appearance on October 19th, 1853, under the title of the 'North of England Advertiser', and to him, therefore, belongs the credit of having been the pioneer of the half-penny press. In 1854 large and extensive works were completed alongside and under the then new N.E.R. viaduct over the foot of Dean Street, to which improved premises the quickly growing business was transferred. Then, 1855 saw the enlarged 'North of England Advertiser' launched, which rapidly secured a first and honoured position in the journalistic world of the north country. Mr. Ward edited and printed in 1862 the Memoir of Thomas Bewick, the celebrated north country wood engraver, whose premises were situated at 24 and 26, St. Nicholas' Churchyard. Robert Ward died on January 2nd, 1883, when the title of the firm changed to R.Ward & Sons. This year (1884), the new firm of R.Ward & Sons relinquished the 'North of England Advertiser' and proceeded with the memorial edition of Thomas Bewick's life and works, 5 vols. royal 8vo. In 1888, the firm introduced the 'Baby' edition of 'Ward's Directory', believing the time was ripe for a yearly issue of this important publication for Newcastle upon Tyne. Four years later (1892), owing to N.E.R. extensions, the business was transferred 'up street', to greatly extended premises in High Bridge. 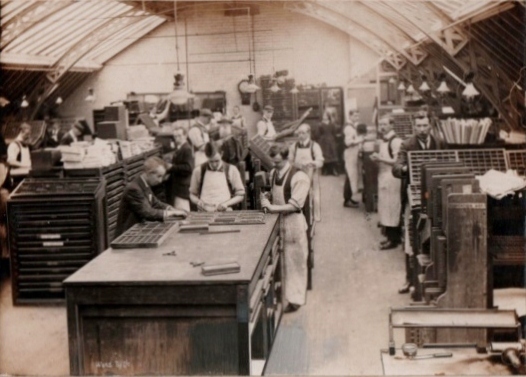 Being more centrally situated, with augmented machinery and plant, the firm was enabled to assume a still more prominent position in the printing and stationery trade to the city. 1895 was memorable from the fact that the firm attained its jubilee in that year. Such an event was not to be passed over without some recognition of services rendered by its employees, consequently the whole staff was entertained at the expense of the firm to an outing, on Bank Holiday, August 5th, at Warkworth, in the County of Northumberland. Still further progress for the same year (1895) has to be recorded when the firm laid down the plant of an extensive lithographic department. The first volume of 'Ward's Directory' of the Tees and District was issued in 1896, embracing the important towns of Darlington, Hartlepool, West Hartlepool, Middlesbro', Redcar, Coatham, Saltburn, Stockton, Thornaby, etc.etc. This volume the firm has published each alternative year. A new feature, and one much appreciated by subscribers, is the introduction of the telephone numbers of all firms making use of this handy form of communication. 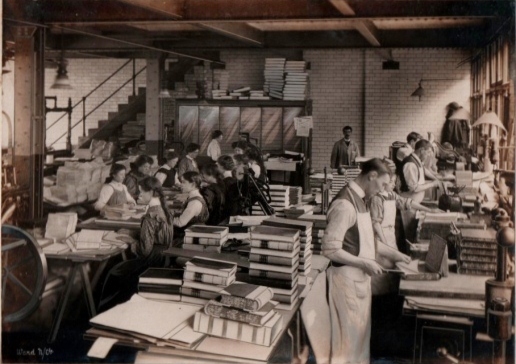 Bookbinding and Paper Ruling were added in 1899, and further new plant had to be laid down shortly afterwards. 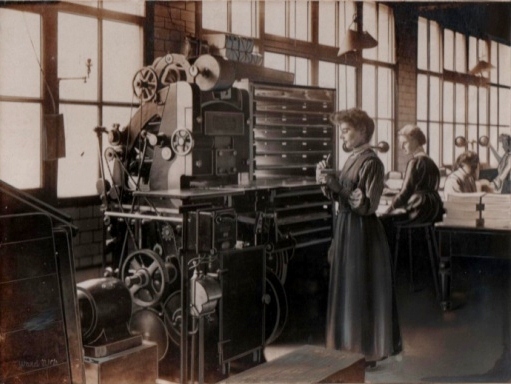 The year 1900 saw the installation of two Lynotype machines. Fifty years having elapsed since the inauguration of 'Ward's Directory' of the Tyne and Wear, embracing the important Boroughs of North and South Shields, Jarrow, Sunderland, Newcastle upon Tyne and Gateshead, it appeared to the firm a fitting opportunity for the enlargement of that popular work, hence the volume dated 1901-02 was entirely overhauled and brought out in its present enlarged size, and uniform with the most important Directories of the country. As difficulty was being again experienced, owing to lack of accommodation (1901), the most important advance in the history of the firm was accomplished. after repeated attempts to acquire the property and secure a permanent home, the firm at last succeeded in purchasing the premises they occupied as tenants, viz., some 1,500 square yards of land which had been in the possession of Messrs. Henry Watson & Sons, brassfounders, for over a century. Although situated in the centre of the city, Nos. 31,33, 35, 37 and 39, High Bridge, the buildings were antiquated and absolutely out of date for such a rising and valuable position. Without delay, the proprietors put themselves in the hands of their architects, with the result that they now own one of the most striking and prominent buildings which has been erected in the last decade in the City of Newcastle. This, our Diamond Jubilee Year, 1905, has empasized the fact that we must widen our borders. Arrangements for extended plant in the various departments are in progress, and will be carried to a successful issue on the completion of the new works. 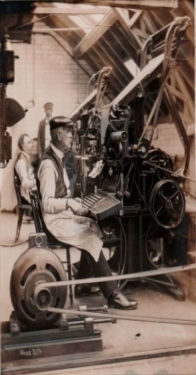 In 1912 an improved Lino machine carrying four magazines was introduced. Its success was assured, and another machine laid down in 1913. A type casting machine was introduced in July, 1913. In 1914 we again emphasize the fact that we must widen our borders. Extension of business has necessitated the occupation of another floor. We are now self contained. Arrangements for extended plant in the various departments are in progress and will be carried to a successful issue on the completion of the new works. In the near future the old buildings, of which we were so proud when we took possession on leaving Dean Street, will be dismantled and then rebuilt. The present works will be linked up with the new erection, by a glass roof, we will thus be able to utilize all the space which is now open yard. We may here note that the erection of Milburn House in Dean Street and the Side, and extending to St. Nicholas' Churchyard, necessitated the demolition of Bewick's workshop, along with other relics of old Newcastle. A wall tablet recorded the fact of Bewick's occupancy. The Ward Family have perpetuated the memory by a very neat bronze bust of Bewick, to be placed in a niche of the new building. which the coutesy of the Messrs. Milburn kindly arranged for when preparing their plans. Note ; The magnificent interior of Milburn House leading down from Grey Street to the Quayside was built in 1905 with finance from the Milburn Family. Because of thier connection with shipping it is designed like an ocean-going liner, with floors labeled deck-style with A at the top and G on the ground floor. In its early years 100 tenents provided work for around 1,000 people.